Creating a web-based format for debate and deliberation: discuss? Let me firmly anchor this post and its comments, which will no doubt shift and turn as the wind wishes, in discussion of the possibility of improving on current affordances for online deliberation. There are a variety of precursor streams to this discussion: I have listed a few that appeal to me in the sub-head of this post and believe we will reach each and all of them in some form and forum if this discussion takes off. And I would like to offer the immediate hospitality of this Zenpundit post and comment section to make a beginning. The script of a play or movie also records multiple voices in discourse, as does an orchestral score — but the format of the Talmudic score is more intricate, allowing the notation of counterpoint that extends across centuries, and provoking in turn centuries of further commentary and debate. What can we devise by way of a format, given the constraints of screen space and the affordances of software and interface design, that maximizes the possibility of debate with respect, on the highly charged topics of the day. We know from the Talmud that such an arrangement is possible in retrospect (when emotion can be recollected in tranquility): I am asking how we can come closest to it in real time. The topics are typically hotly contested, patience and tolerance may not always be in sufficient supply, and moderation by humans with powers of summary and editing should probably not be ruled out of our consdierations. But how do we create a platform that is truly polyphonic, that sustains the voices of all participants without one shouting down or crowding out another, that indeed may embody a practic of listening..? Carl Rogers has shown us that the ability to express one’s interlocutor’s ideas clearly enough that they acknowledge one has understood them is a significant skill in navigating conversational rapids. Because polyphony is not many voices talking past one another, but together — sometimes discordant, but attempting to resolve those discords as they arrive, and with a figured bass of our common humanity underwriting the lot of them. And I have said it before: here JS Bach is the master. What he manages with a multitude of musical voices in counterpoint is, in my opinion, what we need in terms of verbal voices in debate. I am particularly hoping to hear from some of those who participated in tweeted comments arising from my previous post here titled Some thoughts for Marc Andreessen & Adam Elkus, including also Greg Loyd, Callum Flack, Belinda Barnet, Ken (chumulu) — Jon Lebkowsky if he’s around — and friends, and friends of friends. I’m thinking of the simple, three-player version of the children’s game called Piggy in the Middle. Two plays face each other and toss a ball back and forth, while a third player standing between them attempts to intercept the ball in passing. 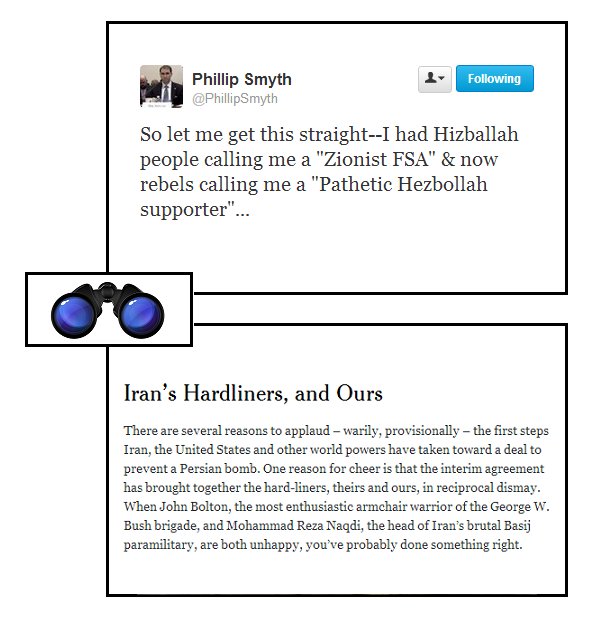 In the case below (upper panel), Phillip Smyth is “piggy in the middle”. And BTW, it’s clearly a lot more work being “piggy in the middle” that either of the two other players — for one thing, you’re constantly forced to spin around to catch a ball you just missed, as it whistles by in the opposite direction to the one it was going in when you just missed it. Blessed are the peacemakers. The game has a worldwide use of playing; mostly in many countries. That’s good to know, and or maybe not. 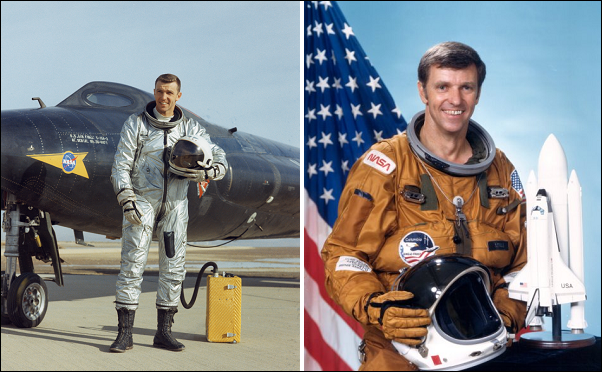 I was talking with a friend, ML, and she told me this story of her cousin, USAF Maj Gen Joe Engle (ret’d), test pilot and astronaut, which I reproduce below from a NASA oral history interview. It is the tale of the exchange between diplomatic enemies which opened up joint US-Soviet NASA-MIR collaboration in space — an extraordinary, exemplary dialog. I believe Zenpundit readers will find it powerful reading. I went over with a group of two or three people and we had scheduled visits with the deputy head of Rosaviacosmos, RSA [Russian Space Agency], and RSC [Sergei Pavlovich Korolev Rocket and Space Corporation], Energia. The gentleman who had been identified to be Tom [ie Gen Tom Stafford]’s counterpart on the joint commission, who was Academician [Vladimir F.] Utkin, who is the most respected rocketeer that Russia’s ever had — well, next to Korolev, but most respected living one, an old gentleman, just a big bear of a guy. We were not doing well at all. Mr. [Boris D.] Ostroumov had essentially thrown us out of RSA and Mr. Semyanov did throw us out of Energia. He didn’t want anything to do with us, didn’t want any independent—they didn’t know what an independent review group was. It wasman entirely foreign concept to the Russians. They were more prone to the stovepipe, of this enterprise has this task to do and you turn the finished product out and it will fit with this finished product, and you don’t talk to each other. Everybody was very, very closed door about it. So they didn’t want the idea of anybody looking over their shoulder, even their own people looking over each other’s shoulder. So we went to Academician Utkin’s, and he was pretty much the same way. I remember going in and being told to go in and sit in his office and wait for him. He walked in, and at that time, they didn’t have phones with pushbuttons. Each line had a separate phone, so he had fourteen phones on his desk, I remember, and a big map, a wall map of the Soviet Union. It was still Soviet Union then to them. Finally he walked in, strutted in, and sat down at his desk and started making some phone calls. We were sitting there, [William] Bill Vantine was with me and there was an interpreter present. He reacted with a couple of things about, “But you want to use our space station? You don’t have a space station. You want to use ours.” Finally, he leaned back in his chair and he said, “Let me tell you. I was the head of the Intercontinental Ballistic Missile Program for the Soviet Union and I designed the SS-19,” which was a superb rocket, booster, and he went to the big map on the wall and he said, “We had — ,” and he started going through the numbers of missiles that they had targeted for New York and Chicago [Illinois], all our major cities. After he’d completed, he walked over and he sat down and he folded his arms and looked at me. I remember saying, “Well, sir, I know that you did exactly what you thought was the right thing to do for your country.” I said, “At the same time that you were doing that, I was sitting in a [Boeing] F-100 [Super Sabre] in Aviano, Italy, with a nuclear bomb strapped under the belly,” and I walked up and I pointed at Aviano, Italy, and I said, “I had one target, one bomb and one target only, but I felt I was doing the same thing for my country that you were.” I said, “My target was this airfield right here,” and it was back in Hungary; it was not in Russia, but it was in the Soviet Union. I said, “That was my target.” And it’s amazing, the intelligence that the Russians had on us at the time. For more on the contrasting philosophies of the US and Soviets with regard to their fighter aircraft and space programs, and what it took to reach accomodation, read on from the tail end of page 16.